If you seek a pedal that does it all and then some, you've come to the right spot. 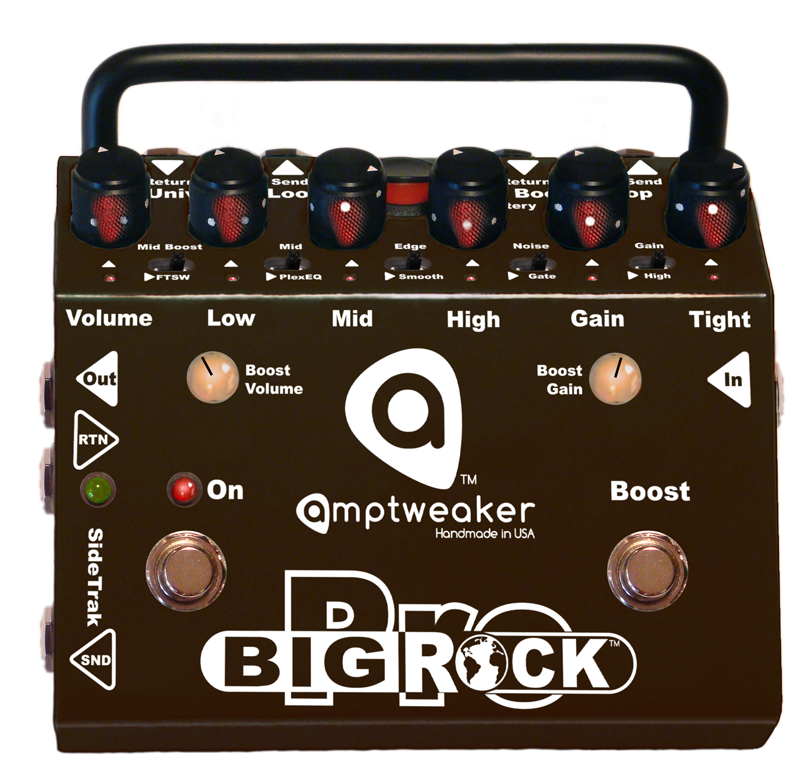 The Big Rock Pro from Amptweaker is the grand daddy of overdrive offerings. Featuring a three knob EQ and a slider switch to select between different EQ profiles, a gain selector switch for high gain tones, on board boost with mid-boost switch, LED lit knobs and an onboard noise gate, to name just a few of the amazing abilities Big Rock Pro has on tap. It even has three (3!) effects loops - a universal loop that works when the pedal is engaged, a boosted loop for even more drive and a SideTrak that is active when the pedal is off, perfect for clean-based effects. Tight Rock Pro can operate on either 9 or 18 volts via batteries or power supply.